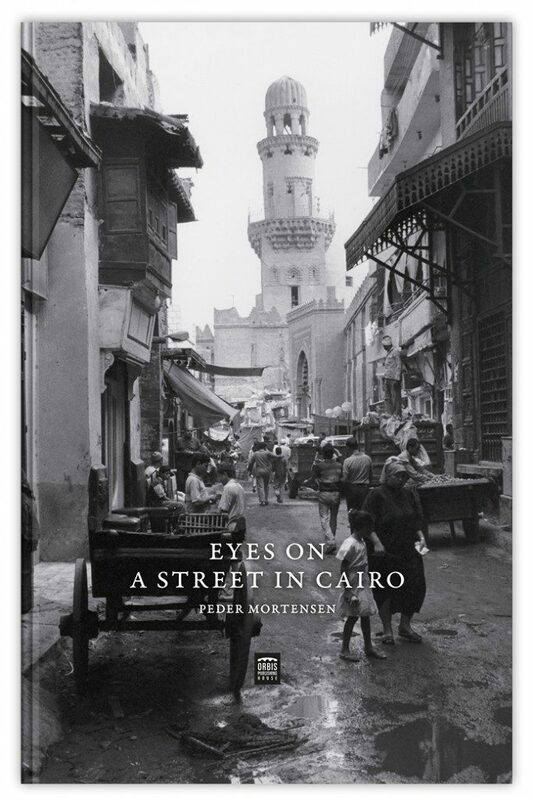 Peder Mortensen: Eyes on a street in Cairo is an art book with 79 black and white photos and documentation of one and the same street in Cairo – Sh. Al-Mu’izz li Din Allah – during a stay for ten days in 1991. Peder Mortensen is an archaeologist and former director of The Danish Institute in Damascus 1996-2001, and director of Moesgaard Museum in Aarhus, Denmark, 1982–96. He has been travelling his whole life in the Middle Eastern world – first as a member of the professor P.V. Glob expedition in Bahrain – always making his own notes in texts, drawings and photographs. In 1991 Peder Mortensen studied the daily life, the mosques, Quran schools, and historical buildings – typical of the street between the gates Bab al-Futuh and Bab Zuwaylah and the area around the mosque of al-Husayn, known from Naguib Mahfouz’ novels.